Clients are able to choose from an on-location session, a studio session or a home session. Our on-location sessions typically take place at Benson’s Park in Hudson, NH or Beaver Brook in Hollis, NH. They are both beautiful, versatile locations that our clients love. Our studio sessions take place in Amherst, NH. Our home sessions give us the ability to capture special moments in your element without the fuss of traveling. We can travel to your favorite park or home if that’s easier for you. Allison Sica is the creative force behind Kiss the Bride and KTB Portraits. Allison’s candid style and friendly and outgoing approach have been key to her success. She is a professionally-trained photographer with comprehensive knowledge of the wedding industry. Allison is a Jill-of-All-Trades: she is the company designer, photographer, and leader. She is a graduate of Southern New Hampshire University. Allison lives in rural Wilton, NH with her other half, Rob as well as their rescue dogs — Lucy and Ricky, and cats Bowie and Spock. In my free time, I love singing, writing music, and playing my guitar. I am slightly obsessed with decorating. I used to be the lead singer in a band. I am the volunteer photographer for the Animal Rescue League of New Hampshire. I love art history so much that I have a minor in it. Autumn is my favorite season. My mom always says she wishes she named me Autumn because it reminds her of me. 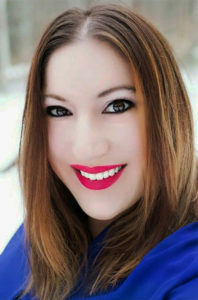 Allison Sica is the Owner & Lead Photographer at Kiss the Bride Wedding Photography and KTB Portraits. We require 50% deposit and the signed contract to book your session. avoid text or logos on your clothing because it can be distracting. Please wear comfortable shoes. How can I change up my look without switching outfits? change up your appearance easily. cream cones, musical instruments, kites, a blanket, picnics, pets, sports balls, flowers, books, etc. Can we give you a list of poses we like? photos on their phones during the photo shoot so I can have a reference. I love lists & photo references! I love dogs! I have two dogs at home and experience photographing at animal shelters. Bring a Frisbee, a squeaker toy and some treats!